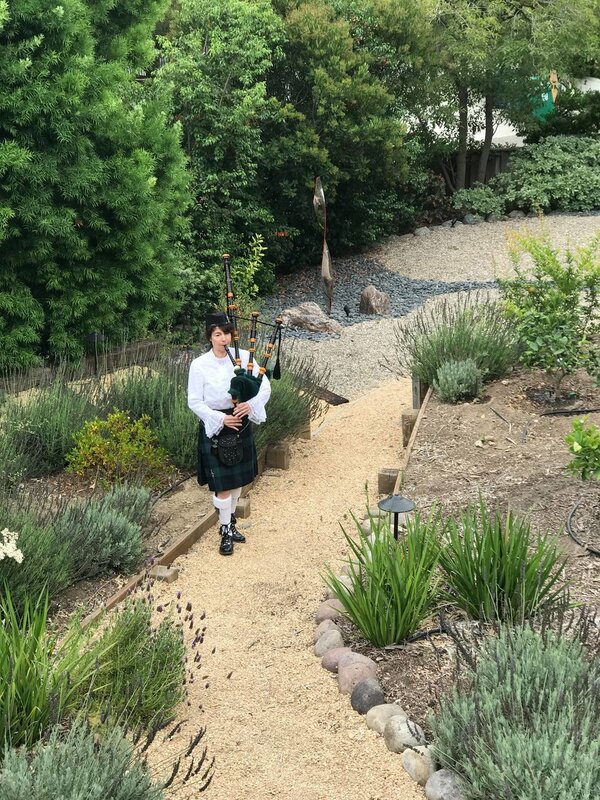 With over 20 years experience playing the bagpipes, Catherine adds that Celtic element to your special event. Her broad experience includes weddings, parties, funerals and military, firefighter and police ceremonies. As Pipe Major of her own student ensemble, Catherine can provide clients with a mini band to augment that special ceremony. Catherine began her training on the Great Highland Bagpipes at age eight studying under renowned instructor Pipe Major Sandy Jones. She has followed her passion by playing and competing with bands including the Central Coast Pipes and Drums and the Monterey Bay Pipe Band. For the past fifteen years she has been an instructor preparing the next generation of pipers to share in the dignity and joy of the Great Highland Bagpipes. Many of Catherine's students have won medals in solo competitions. Catherine has performed with the world famous Chieftans, the Vocal Arts Ensemble of San Luis Obispo, at graveside services at the Arlington National Cemetery in Virginia and for memorials at sea. 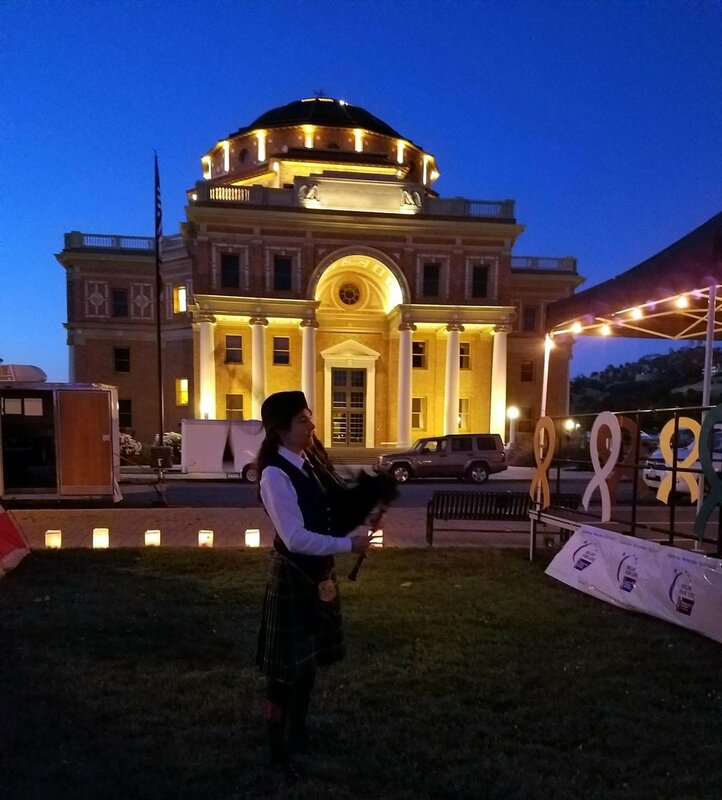 She donates much of her time piping for community related and non-profit organizations including Relay for Life events which support cancer research, the Peace Officer's Memorial, and Veteran and Memorial Day ceremonies. Catherine's musicality and professionalism, as well as her graceful and accomplished technique will enhance any ceremony. She is extremely versed in helping you find the perfect music to enrich your event from her repertoire of beautiful and evocative medleys. Follow Catherine on Facebook by searching for 'Bagpiper Catherine Pearce'.